PT 565 Plus XLO Formula 2 provides knockdown, kill and flushing action Ideal for use as directed contact and space treatment Low odor formula is perfect for inspection Offers broad spectrum killing power to help combat a wide range of flying and crawling insects Has some cold sensitivity and should be warmed to room temperature before use. Apartments, Campgrounds, Food Storage Areas, Homes, Hospitals, Hotels, Motels, Nursing Homes, Resorts, Restaurants and other Food Handling Establishments, Schools, Supermarkets, Transportation Equipment (Buses, Boats, Ships, Trains, Trucks, Planes), Utilities, Warehouses, and other Commercial and Industrial Buildings See special instructions for these sites under Directions for Use. 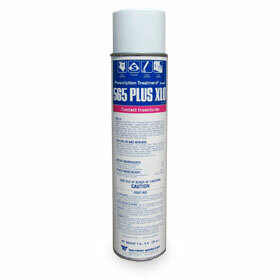 Would you like to see the PT 565 Plus XLO Formula 2 Label? How about the PT 565 Plus XLO Formula 2 MSDS?